Maximize uptime and minimize problems with these open source tools. If you use a cloud system as your application's backend, you can take advantage of greater computing power, as the backend service will scale horizontally and vertically and orchestrate different services. But whether or not you use a cloud backend, it's important to build a fault-tolerant system—one that is resilient, stable, fast, and safe. To understand fault-tolerant systems, let's use Facebook, Amazon, Google, and Netflix as examples. Millions and billions of users access these platforms simultaneously while transmitting enormous amounts of data via peer-to-peer and user-to-server networks, and you can be sure there are also malicious users with bad intentions, like hacking or denial-of-service (DoS) attacks. Even so, these platforms can operate 24 hours a day and 365 days a year without downtime. Here's another way to think of a fault-tolerant system. When you run your application service locally, everything seems to be fine. Great! But when you promote your service to the production environment, all hell breaks loose. In a situation like this, a fault-tolerant system helps by addressing two problems: Fail-stop behavior and Byzantine behavior. Byzantine behavior is when the system continuously runs but doesn't produce the expected behavior (e.g., wrong data or an invalid value). Neither fail-stop nor Byzantine behavior is a desired situation, so we need ways to prevent or fix them. That's where fault-tolerant systems come into play. Following are eight open source tools that can help you address these problems. Netflix's open source Hystrix is the most popular implementation of the circuit-breaker pattern. Many companies where I've worked previously are leveraging this wonderful tool. Surprisingly, Netflix announced that it will no longer update Hystrix. (Yeah, I know.) Instead, Netflix recommends using an alternative solution like Resilence4j, which supports Java 8 and functional programming, or an alternative practice like Adaptive Concurrency Limit. "An enterprise bean must not use thread synchronization primitives to synchronize execution of multiple instances. "The enterprise bean must not attempt to manage threads. The enterprise bean must not attempt to start, stop, suspend, or resume a thread, or to change a thread's priority or name. The enterprise bean must not attempt to manage thread groups." Other useful tools for fault-tolerant systems include monitoring tools, such as Netflix's Eureka, and stress-testing tools, like Chaos Monkey. They aim to discover potential issues earlier by testing in lower environments, like integration (INT), quality assurance (QA), and user acceptance testing (UAT), to prevent potential problems before moving to the production environment. 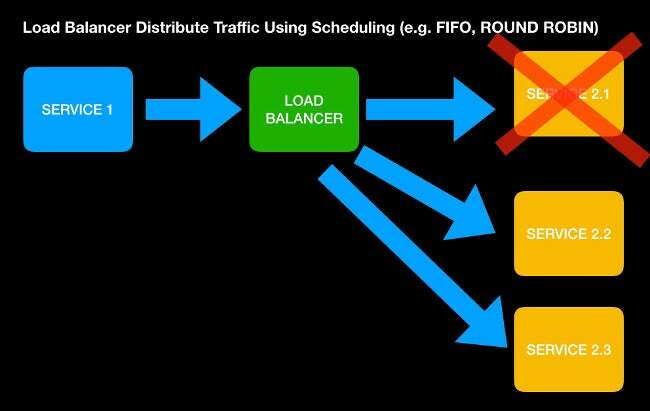 What happens when the load balancer fails? This box looks like a single point of failure. Linux-ha, or quorum-based designs, might be a solution, but none of the tools listed seem to provide this. If the data flows through one single point, then a single failure can cause a systemic failure. Increasing availability requires using some form of redundancy for everything: data, servers, network equipment, cabling, power, cooling systems, etc. As a side note, distributed system design by itself increases failure rates. This is because the global mtbf decreases with the number of physical machines: if a machine fails once a year, having 365 machines causes an average of one failure a day. Fault tolerance is based on redundancy, which is a slightly different concept than distribution. 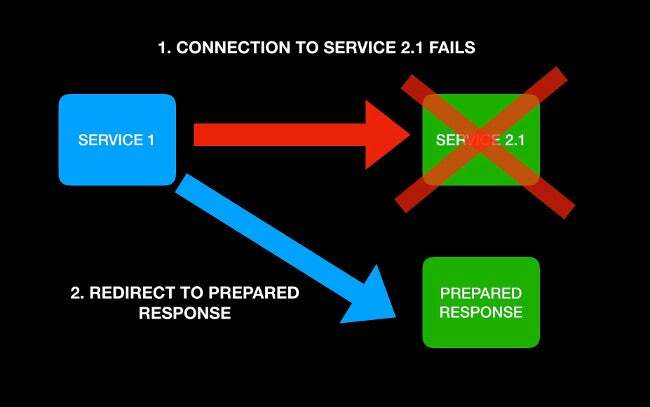 Even if many distributed systems do include redundancy in their design, fault tolerance is not intrinsic to the distributed design patterns and one should not assume it is present by default. That is an excellent point, Pascal. It will be a great idea if you can contribute to an article about it! I will also look for a way to extend this topic. Thank you. I agree. The pfsense software, for example, has such capability. EMS tools can support redundancy as well (e.g. qpid). It seems that the article views the term "fault tolerance" more in the context of software quality: design for scale, prefer EMS over threads, test well, and monitor constantly. All are very good advices, but fault tolerance is not about avoiding fault as much as it is about keeping the system functioning, and the data safe, when a fault (hardware or software) eventually happens. One solution we use is to employ two servers running ha proxy and keepalived. Works pretty well.